This was eventually going to happen as this project reboot has been trying get off the ground for a number of years. 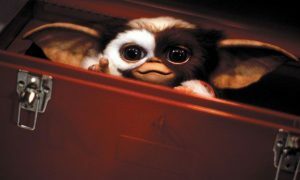 Well, the day has finally come to jump start this ‘Gremlins‘ project with the help of a little production company in Hollywood known as Warner Bros. Some executives have wanted to make a direct sequel where others have wanted to completely reboot the series from scratch. It looks like the latter won out. Seth Grahame-Smith will produce the reboot alongside David Katzenberg according to Bloody Disgusting. Seth wrote ‘Dark Shadows‘ and ‘Abraham Lincloln: Vampire Hunter‘. Needless to say, those weren’t quality films. And we know that Seth is already hard at work on the ‘Beetlejuice’ sequel. Katzenberg is a small time producer on several reality tv series. However, Katzenberg is working with Seth on ‘Beetlejuice 2‘ and the reboot of Stephen King’s ‘It‘. This ‘Gremlins‘ reboot is sounding awful so far in my opinion. There is no word on on a writer or director yet, but let’s hope whomever the hire, has more talent than these guys. I really hope that they stick with puppets and not go the CG route here, but who am I kidding. It’s gonna happen. Now I’, waiting for Phoebe Cates, Zach Galligan, Joe Dante, and Steven Spielberg to announce their involvement or support. I’m not happy about this as of now. How bout you? This entry was posted on Monday, May 13th, 2013 at 10:11 am	and is filed under Film, News. You can follow any responses to this entry through the RSS 2.0 feed. You can skip to the end and leave a response. Pinging is currently not allowed. « Check Out The New Trailer for ‘Arrested Development’! !